I just posted a version of the phytools function phylo.to.map, which can be used to project a tree onto a geographic map. Based on some user feedback, including at the Latin American Macroevolutionary Workshop we just held at the Universidad de los Andes in Bogotá, Colombia, I have added a couple of new features & attributes to the function. First, the function now automatically removes the underscore character ("_") from within species names. Note that this is only for type="phylogram", not type="direct"; although in the latter case it can easily be done manually. Second, again for type="phylogram", the lines connecting the tree to locations on a geographic map now (by default) arise from the end of the tip label - rather than from the tip itself. Finally, third, the function now allows user control of the color of both the dashed lines & points connecting species labels to their geographic locations (for type="phylogram"); and of the both the lines and tip dot colors (for type="direct". 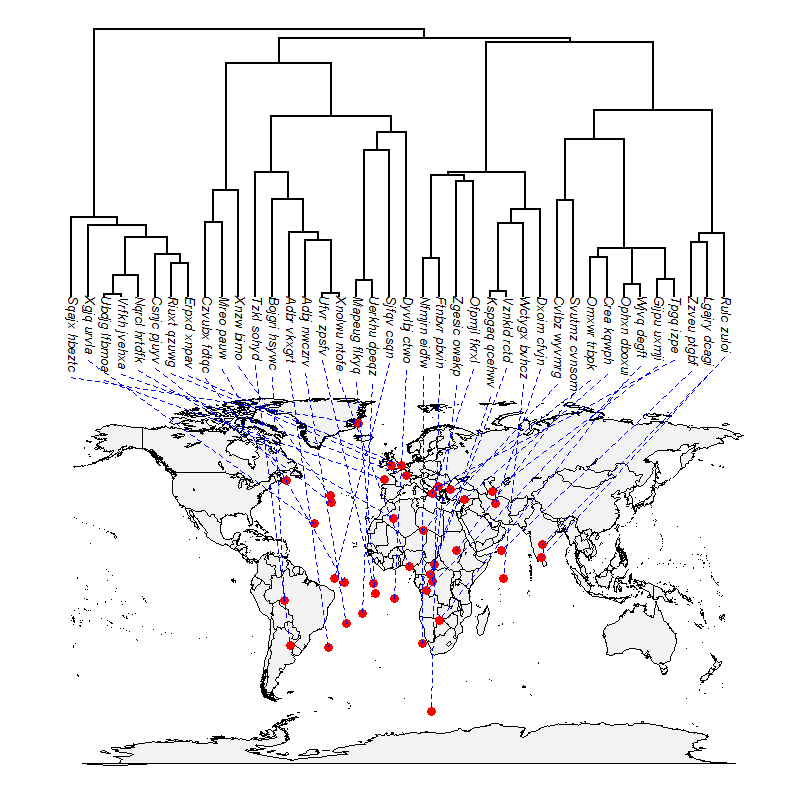 Is there any way to use this function on a smaller scale, say plotting the phylogeny against a smalle map of a single continent/country? You can also set xlim and ylim based on geographic coordinates. Do you have an example where points can be coloured by a vector of colours? I have tried just inputting that vector and list("black", col_vector) under the argument color, but no luck yet.